This is actually my second year running this race, which means I like it enough to make room for it in my calendar on the second Sunday in September. It’s a nice distance. Long enough to not be very comfortable, but short enough to race it if you feel up to pushing that pace. Just be aware that it’s a couple of good up hill climbs in those last couple of miles. The route is an out an back route, with just a couple of minor changes between how you start and where you finish (the hills!). The field size is pretty good. I would call it a small/medium size race. The elevation is mostly flat and the water stops are plenty. You do get some pretty good views of the Hudson and of the very nice houses that occupy that prime real estate. Parking is street parking, and there was a street fair going on in town…again! Every time I’m in Nyack, there is a street fair! It’s actually a pretty decent street fair with a good variety of vendors to browse. But it does limit the amount of parking available. So get there early! Also, have cash on hand if you plan on re-fueling with one of the crazy pancake combinations at Strawberry Place (WBC reviewed!). It’s just a short walk from the finish, but it is a cash only establishment, and we couldn’t find a Chase, Citibank or HSBC anywhere in the area. 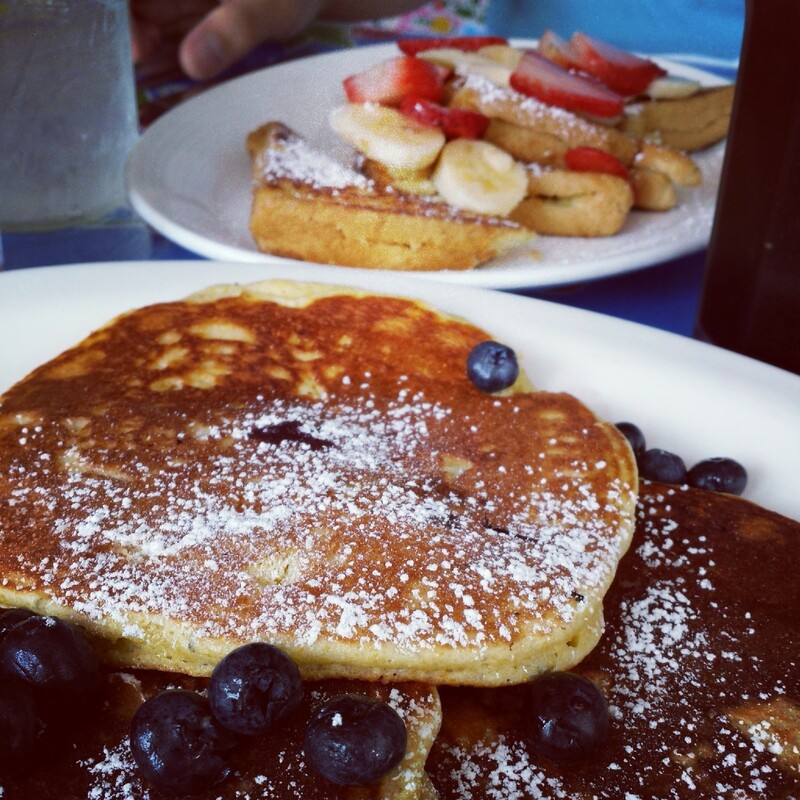 I ended up at Lulu’s Cafe since an errand needed to be run at the Palisades Mall. Last year when I did this race, I had to make it in an hour and a half due to the fact I had to be showered, changed and standing outside Momofuku Noodle Bar at exactly 12pm for my fried chicken reservation (epic and totally worth it). I was on the tail end of training for an upcoming marathon, so a 10 mile sprint was tough, but I was trained up for it. This year was a bit different. After a humid summer, cutting back on the running, and just one terrible race after another, I wasn’t so sure I would be able to repeat. I was looking at maybe finishing in 1h45min. So, imagine my surprise when I saw the clock reading 1:31 as I was crossing. One year later and I was only 1 minute slower. Not too shabby! I’m making my comeback! 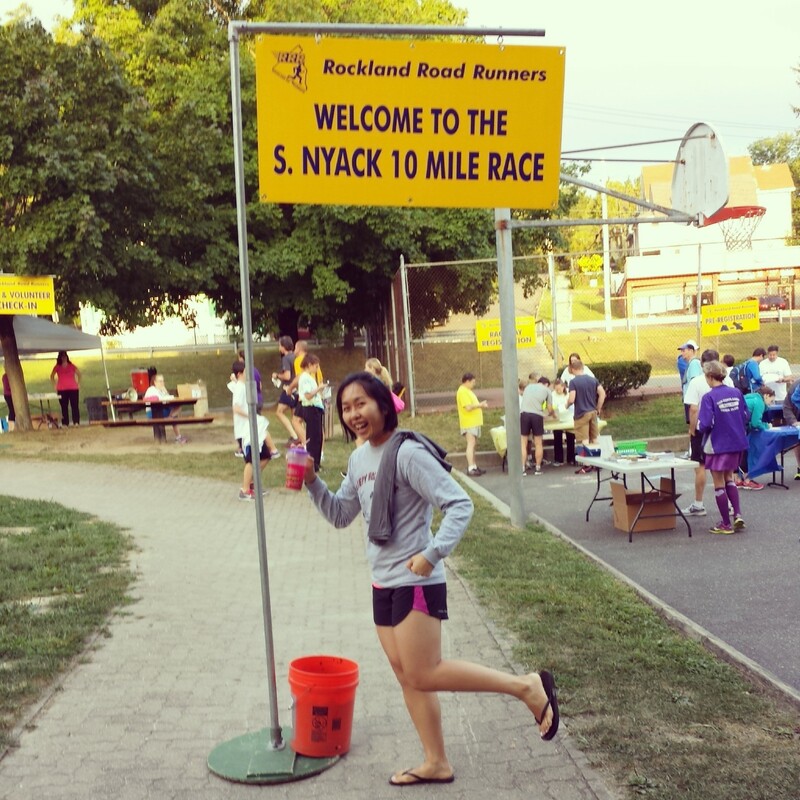 This entry was posted in Breakfast, Running and tagged Lulu's Cafe, Momofuku Noodle Bar, Race report, Running, South Nyack 10 Miler, Strawberry Place. Bookmark the permalink.